Time and again, the patients of Dr. Louis Guida, president and CEO of Bay Shore Allergy and Asthma Specialty Practice on Long Island, thank him for the care he provides—which consistently goes above and beyond. There’s the time a deaf three-year-old received a customized injection of special medication which resulted in him gaining his hearing for the first time. And then there’s Dr. Guida’s cystic fibrosis patient who has managed to live to his 70s when the average lifespan for those stricken with the disease is 37. Dr. Guida doesn’t simply care about the disease; he cares deeply about the person who has the disease. The 1984 graduate of St. George’s University School of Medicine is thankful as well. He always wanted to be a doctor, and each day such success stories remind him of why he loves his job. “One of the most important things to me is giving patients a better quality of life, whether they’re young, middle-aged, or elderly and in a nursing home,” Dr. Guida said. In addition to his role at Bay Shore Allergy, Dr. Guida has served as medical director of the Allergy/Asthma and Cystic Fibrosis Centers at Good Samaritan Hospital Medical Center in West Islip, NY, since 1990, and medical director of pediatric pulmonology and allergy and asthma at St. Charles Hospital in Port Jefferson, NY, since 2008. He also cares for patients at a nursing home in nearby St. James. 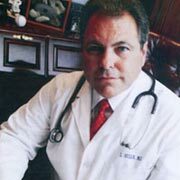 Dr. Guida, who was named a “Top Doctor” by US News & World Report in 2012 and “Top Doctor” by Castle Connolly from 2008 to 2012, estimates that he visits with 30 to 50 new patients each week, or between 2,000 and 3,000 new patients per year. No case is the same. He can capably address the concerns from a wide range of patients in part because of the wide range of experiences presented to him at SGU. He was taught by professors in the top of their fields and from all over the world. The faculty wasn’t just decorated but they were accessible, oftentimes offering their expertise one-on-one before or after class. In addition to appreciating all that the University and the island of Grenada had to offer, he gained clinical experience in St. Vincent’s in the United Kingdom as well. He initially signed on for six weeks in the UK but ended up staying 18 months. His journey began after receiving his Bachelor of Science in biology from Fairleigh Dickinson University in 1980. 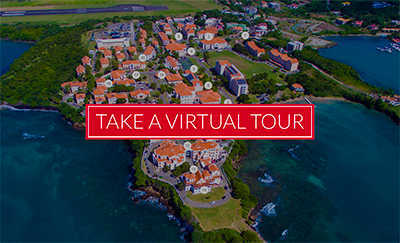 When considering options for medical school, the New Jersey native was pointed to St. George’s University, then an up-and-coming institution in the Caribbean, by Dr. Abdol Islami, the chair of graduate medical education at Saint Barnabas Medical Center in New Jersey, where Dr. Guida was volunteering. He continues to be grateful for all that Chancellor Charles Modica and the University did for him. “I would have done anything and gone anywhere to become a doctor,” Dr. Guida said. “Every time I see Chancellor Modica to this day, I thank him for giving me the opportunity to become a physician. I have told many students to go down to Grenada to become physicians. If you want to become a doctor, Chancellor Modica will give you the opportunity, and SGU continues to put out wonderful physicians. Dr. Guida and his wife have four children. The family has resided on Long Island since 1990.